Governor Pete Ricketts has directed the Nebraska State Patrol to temporarily waive certain requirements for trucks traveling in and through Nebraska in support of efforts to the response to severe flooding. This order is in addition to the Governor’s emergency declaration issued on Tuesday. 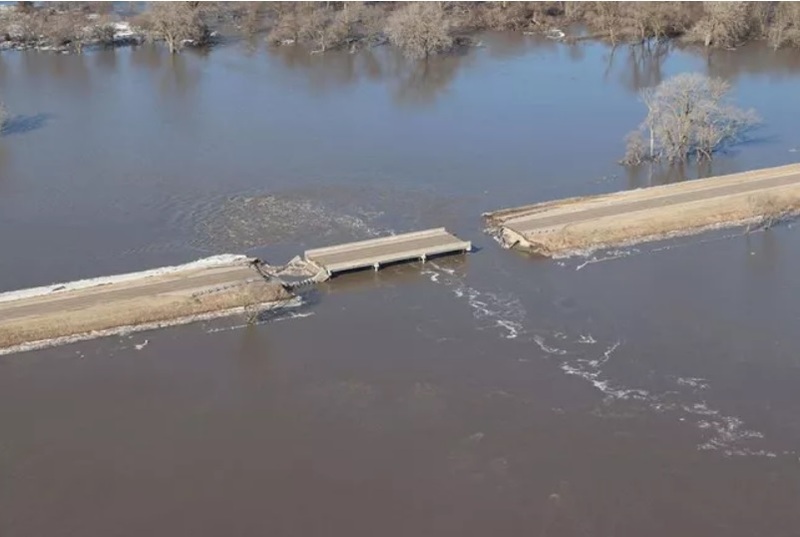 Governor Pete Ricketts and Unicameral Speaker Jim Scheer surveyed historic flooding in portions of northeast Nebraska. They joined members of the Nebraska National Guard to get an aerial view of flooding impact and updated the media on the ongoing response in Norfolk and Omaha. To keep up-to-date on road closings, visit the Nebraska Department of Transportation’s traveler information website athttp://www.511.nebraska.gov/. Anyone that becomes involved in an emergency situation, please call 9-1-1 immediately for assistance. View more pictures by here (part one) and here (part two). View pool video footage by clicking here (part one), here (part two), and here (part three).